A vehicle is a necessity for most Americans. But not everyone can afford to pay for one. That is when auto financing comes in. The lender gives you the money to pay for the car on an agreed upon condition that you give it back with interest per month. It is easy to get a loan for a vehicle, unlike more risky loans like mortgage, business or boat loans. Still, lenders look at the health of a borrower’s credit to determine whether he or she will be able to repay what is to be owed. So what happens to the significant chunk of the American population whose credit ratings are not so stellar? Subprime car loan is a feasible solution. Currently, it is the fastest growing segment of the subprime market. Subprime car loans cater to borrowers whose credit rating is at 619 or below. Because of the increased risk that the lender takes, borrowers are offered higher interest rates. Look into the overall cost of owning a car: insurance, maintenance, fuel. Many borrowers fail to factor in these costs and only look at the payments they need to make for the car each month. 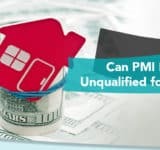 There are also others who opt for the lowest monthly payment they can afford but don’t realize that they’re stretching the loan term and end up paying more on the interest. Work with your lender to determine what car ownership really entails. Before signing any documents, make sure you have read and understood what’s in it – down to the last detail. Subprime lenders intend to protect themselves from you potentially defaulting on the loan. So it’s not a surprise that they charge you extra fees to compensate for the risk. Be diligent in reading the fine print. Knowing these extra fees will give you a better perspective of the true costs of financing and a baseline from which to make a more practical financing decision. Or talk to a professional. It all boils down to practicality. Get a car that you can afford. Ask some personal questions like: Do I only need this for myself or for the family? Is it easy to maintain? Can my monthly income cover the cost of financing? Failure to pay back your car loan may put you in a worse financial situation and cause even more damage to your already bad credit rating. Rethink your choice before making a final decision. Borrowers with problematic credit profiles may find it hard to find a lender who will cater to their auto financing needs. Unlike prime borrowers who receive loan offers without them asking for it, the subprime borrower’s risk puts lenders on the edge. But it’s not impossible. There are various subprime lending resources that you can find online, ask friends and family if they know some in your local area, or inquire from your dealer. Once you have a list, ask around for quotes before you forward a formal application. Getting a car loan with a bad credit will test your patience and perseverance. Be ready for rejection, but never reject the possibility of success. Talk to us and we will help you get started.